Andrew T. Guzman, holder of the Carl Mason Franklin Dean’s Chair in Law, is an authority on international law and economics who has written extensively on international trade, international regulatory matters, foreign direct investment and public international law. 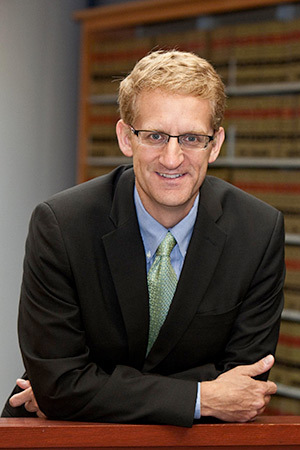 Previously a professor and associate dean at University of California, Berkeley School of Law, he joined the USC Gould School of Law as dean in July 2015. Guzman was the Jackson H. Ralston Professor of Law and Associate Dean of International and Executive Education at UC Berkeley. He also served as the director of the Advanced Law Degree Programs. His inter-disciplinary research addresses problems across the range of public and private international law, including international regulatory cooperation, foreign investment, international trade, theories of international law, and rational choice approaches. His recent work has addressed international tribunals, soft law, the safety of imported products, and climate change. Before joining the faculty at Berkeley, Guzman served as judicial clerk at the United States Court of Appeals for the First Circuit. He received his J.D. and his Ph.D. in economics from Harvard University. Guzman has taught as a visiting professor at Harvard Law School, the University of Chicago Law School, the University of Virginia Law School, Vanderbilt Law School, the University of Hamburg, and the National University Law School in Bangalore, India.